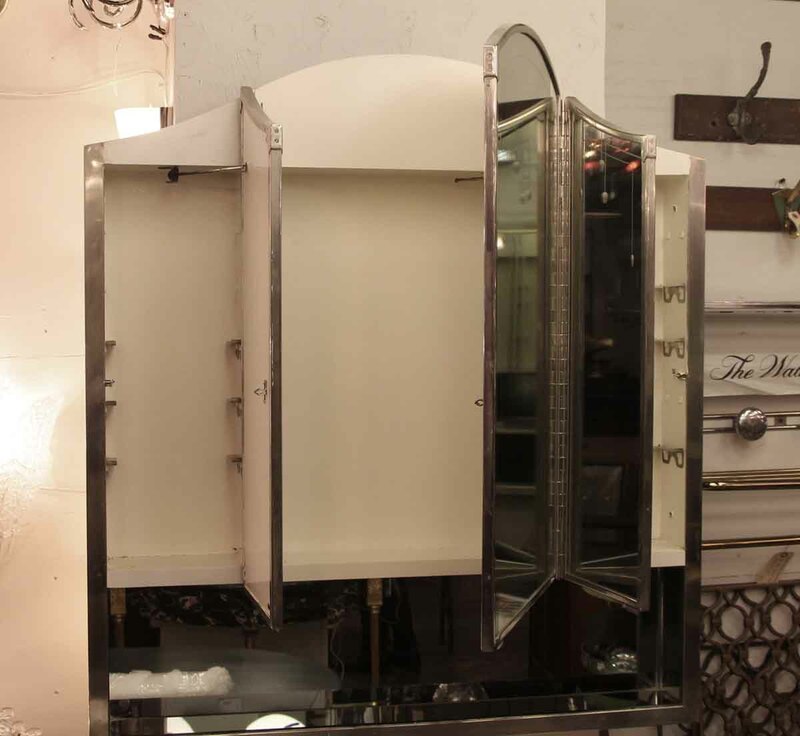 These medicine cabinets are exclusively from the original design of the Waldorf Astoria Hotel, circa 1931. 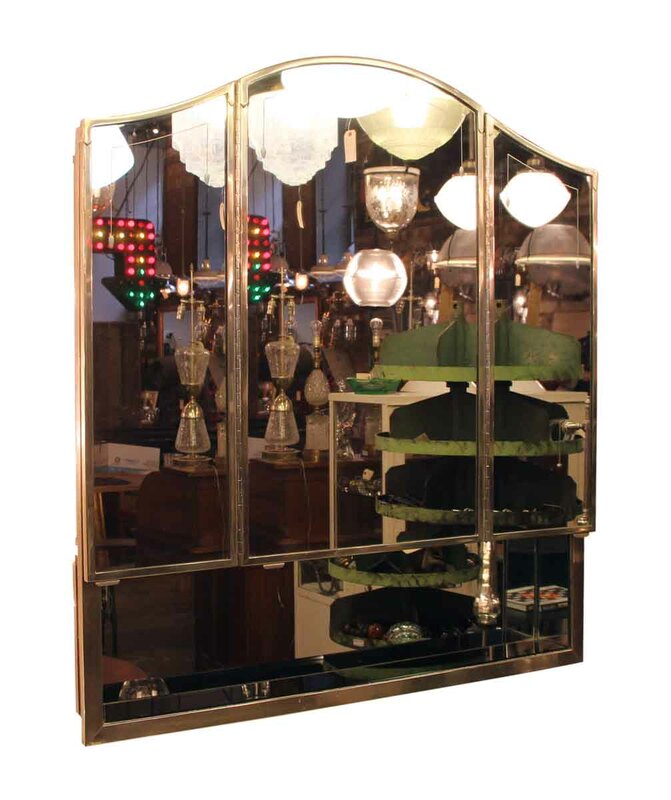 The frame is nickel over cast brass with the original mirror still intact and in good condition. 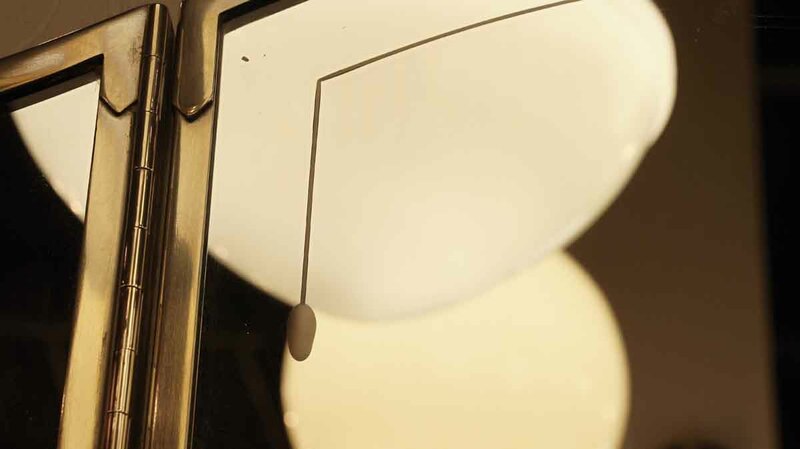 There is one main mirror with two side mirrors. 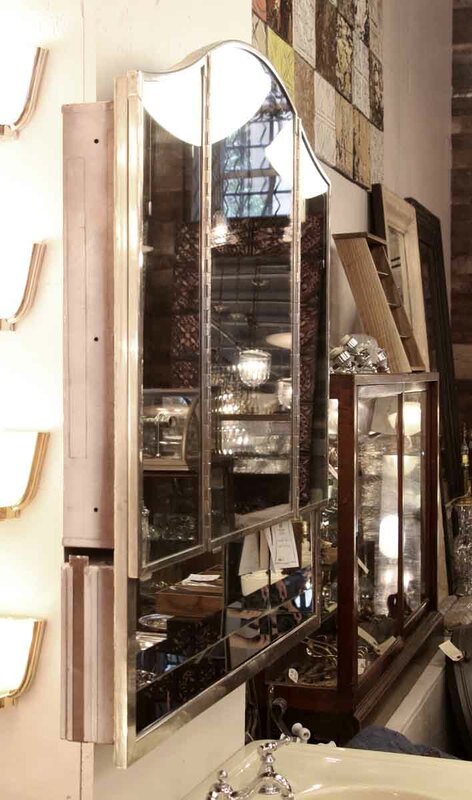 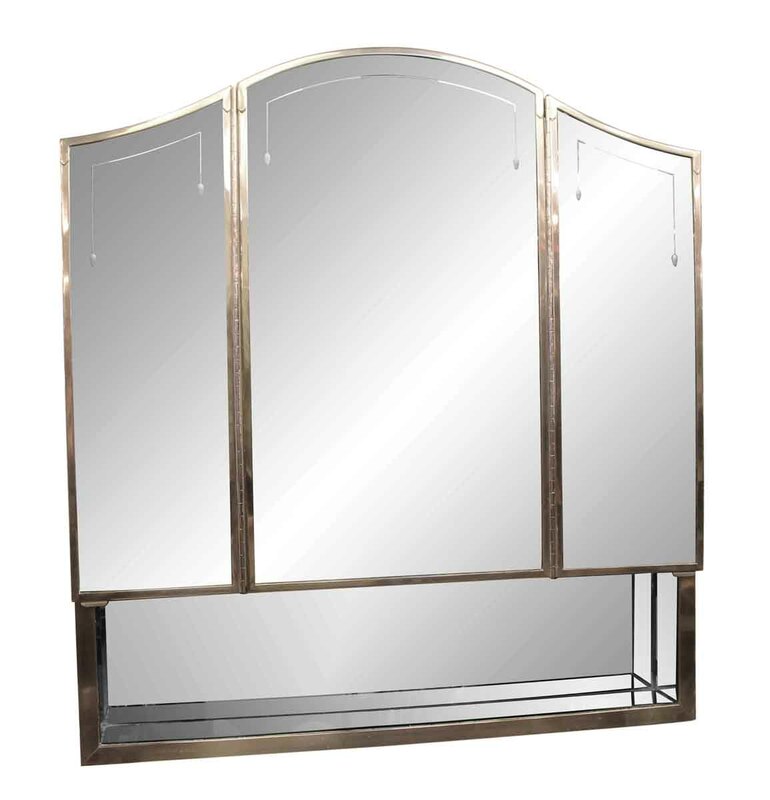 All three mirrors open up to three separate compartments for storage with multiple glass shelves. See item WAN252388B for the same mirror with no etching.